Rent this awesome short shotgun mic for field recording applications requiring targeted directional pickup. 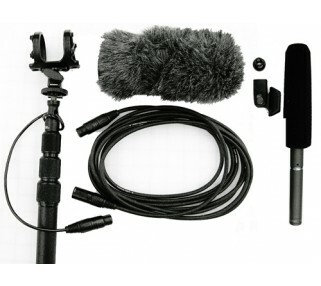 Rent the Sennheiser ME 66 short shotgun microphone for field recording applications requiring low pickup from outside of the pickup direction. Maintain high sound quality as you move from windy streets to the studio. High sensitivity, wide frequency, directional microphone. Use the microphone with either the included 10' boom or camera accessory shoe attachment.